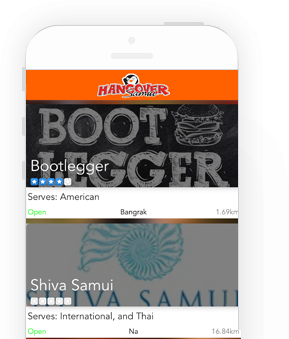 Become a Hangover Samui Member Today! Help! I have forgot my password! We'll never share your birthday with anyone else. We only use it to provide you with a birthday suprise! Have your favoriate food delivered to you anywhere on the island! If you move, or are at a different location, we make it very easy to add a new location!